Track 7 Brewing Company was established as an outlet for creative expression through unique and artisanal beers. 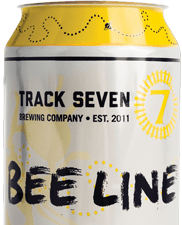 The name, Track 7 Brewing Company, was selected in part due to the brewery’s proximity to the old Western Pacific railroad tracks, west of Curtis Park, and as a nod to the integral role the railroad has and continues to play in Sacramento’s rich history. We have two Track 7 taprooms in the Sacramento area. Our taprooms feature our five year-round beers and seasonal selections. Our original taproom is located in Curtis Park on the east side of the railroad tracks near Sac City College. The Natomas taproom, also our main production facility, opened in early 2015. Learn More Food Trucks What’s on Tap?